In the IDEAlliance GRACoL Specifications and Guidelines publication, that is being distributed this month with Graphic Arts Monthly and at the IPA Technical Conference, you will find a full size ad kicking off several G7 related promotions. Free G7 Consultation, G7 Related Support Tools discounts, G7 Related Product & Service Bundles, and the free new Measuring Stick service are the main things being offered. Don't miss these awesome values brought to you by CMG. The Color Management Group brings you unequalled experience with prepress and pressroom workflow. 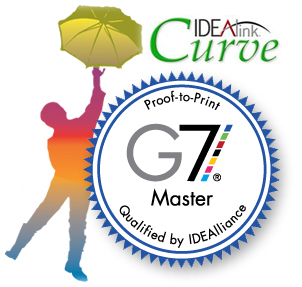 Our certified G7 experts have helped many customers print to G7-based specifications, and streamline color workflow to increase quality and reduce the cost of color. The consultation is free and there is no obligation. 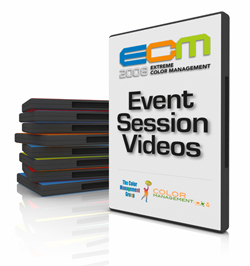 For a limited time, all applicants will receive a promotional DVD : the Extreme Color Conference sessions. In this DVD, industry experts cover a wide range of topics from color basics to pressroom practices, to environmental issues in design. Click here to submit your request for a free consultation and get your free DVD today! CMG has gathered some of our most popular G7 hardware and software tools into one convenient category for your shopping pleasure. Peruse this awesome assortment of products that will help you to achieve the GRACoL condition using the G7 method. As always, out CMG members are available to help with implementation on-site or remotely. Is your company interested in implementing GRACoL? CMG has put together some very attractive bundles of products and training that will help you implement GRACoL more efficiently and cost effectively. We have bundles for all budgets, from remote G7 specific support to week-long on-site implementation with Master Printer Qualification and several in between, you will find some great value in these solutions. Click here to learn more. CMG Announces New "Measuring Stick"
MeasuringStick™ is a free program by Color Management Group, designed to help you be more competitive in print business. MeasuringStick scores your internal print quality by measuring samples that you submit and evaluating answers that you provide in a brief questionnaire. MeasuringStick not only scores your internal quality, but also tells you how you rate agaist the population of records in the database. There is no product to buy. We will do the measurement for you. Just send us your printed MeasuringStick control bar and your completed form. We’ll send you the results. Simple. Click here to learn more about Measuring Stick.